COMPLETE REMODEL READY FOR NEW OWNER TO CALL HOME ! This 1650sf brick home offers 3br,2a,2cg on .25 ac,walking distance to schools in a mature part of Whitewright. New sheet-rock, paint,bathrooms, custom tile shower, fixtures, kitchen with all new SS appliances ie. stove, vent hood, wall oven, dishwasher, sink, disposal and refrigerator, along with durable upgraded vinyl laminate in the kitchen, utility and baths. 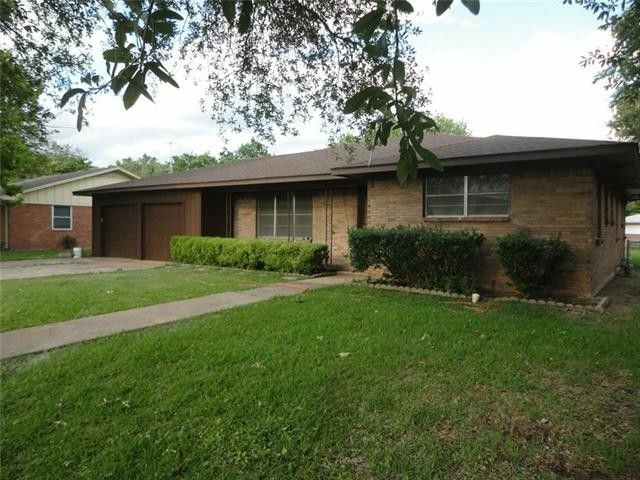 French doors open from DR to large covered patio to enjoy the huge fenced backyard. Original hardwoods are amazing. This property will not last long on today's market !